Persistent drought conditions in California have caused a recent surge of interest in ocean desalination as a source of fresh water for drinking, irrigation, and other uses. There are currently nineteen ocean desalination facilities being considered in California, in addition to the largest operating facility in the Western Hemisphere located in San Diego, and another facility of the same size close to starting construction in Orange County. While drawing water from the ocean may seem like a promising solution, it is in fact the most expensive and energy intensive option available, and should be an absolute last resort. California has only begun to tap the potential for conservation and water recycling, and these more sustainable and affordable water sources should be our priorities. 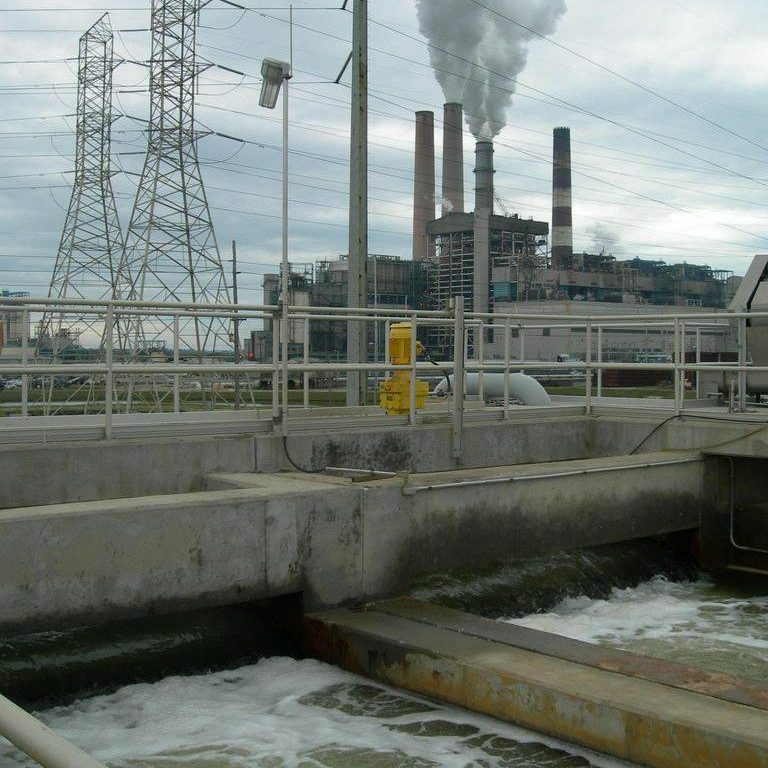 Desalination facilities cause significant harm to marine life. Facilities using open ocean intakes pull in millions of gallons of seawater a day, killing billions of fish, fish larvae, and other animals each year as they are forced up against screens or sucked into facilities’ filtration systems. Additionally, the discharge of highly concentrated “brine” into the ocean can be toxic to kelp beds and marine life, even at low concentrations. Additionally, desalinating water uses more energy, per gallon of water, than any other source. 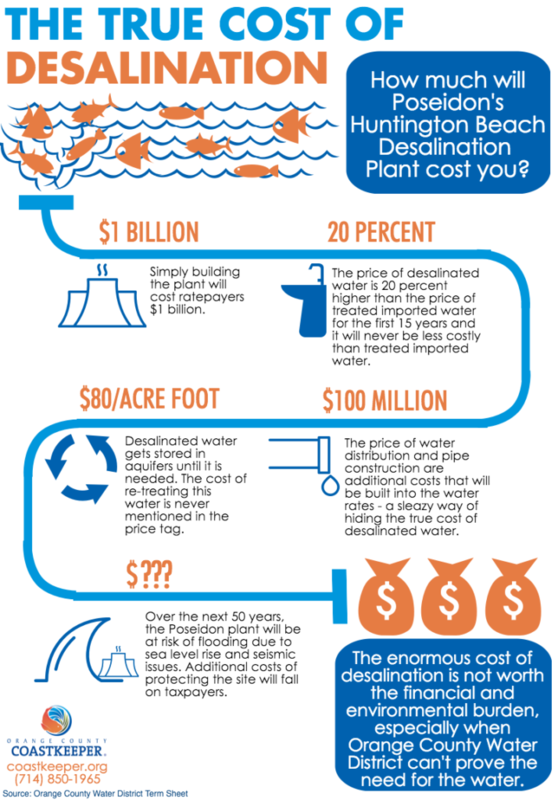 Desalination plants connected to the electric grid increase electricity consumption from fossil fuel plants, increasing GHG emissions and undermining California’s efforts to mitigate climate change and clean up our air and water. Finally, water produced by ocean desalination is very expensive, with an average price per acre-foot that is four to eight times higher than water from other sources. California can eliminate the need for ocean desalination by pursuing less expensive and more environmentally friendly water supply options such as water conservation, stormwater capture and water recycling. CCKA advocates across agency forums to prioritize Proposition 1 and other government investments in these more cost-effective and resilient water supply options. 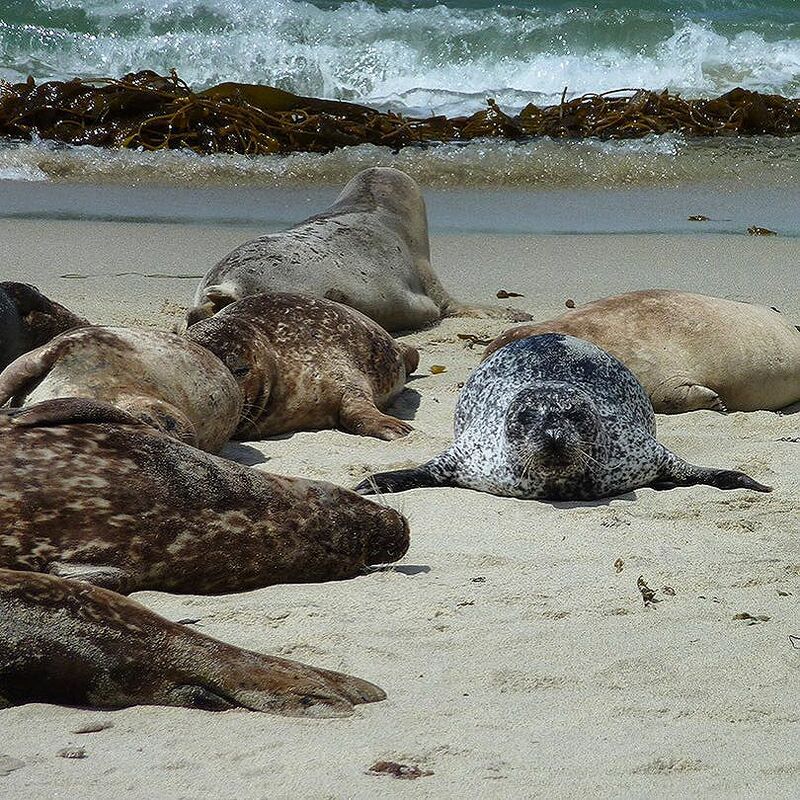 CCKA has also worked, since 2010, to make sure the desalination plants California does approve use the most effective safeguards to protect marine life, marine protected areas, and sensitive marine habitats. In 2015, CCKA’s advocacy led to the State Water Board’s adoption of the nation’s first statewide regulations for ocean desalination. The regulations, commonly referred to as the Desalination Policy, create a set of rules that facilities must follow to minimize marine life mortality during the intake of seawater. The Policy also sets rules for how facilities will dilute brine discharges to prevent toxicity build-up. CCKA is working to ensure that the Desalination Policy is administered correctly for the initial desalination facilities to set a strong precedent for siting and construction choices that minimize harm to marine life in future proposals. CCKA maintains a regular dialogue with the State Water Board members and staff to ensure regional water boards properly incorporate the new Policy standards into local permits. CCKA provides legal and technical expertise to local stakeholders to ensure consistent interpretation of the Policy by Regional Water Boards.